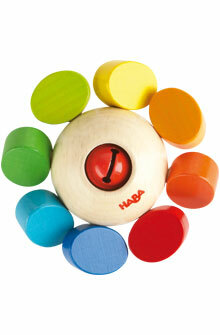 HABA 3251 - Rainbow colored knobs twist and turn on elastic cords. Bell encourages shaking. Beech wood rattle measures 3" diameter.